We scheduled two separate tours with Mohammed......one in town and one out of town. By the end of a wonderful first day, we told him "let's skip out of town, we want more of Mumbai." We have now spent those two days and each minute, each corner turned and Mumbai from the richest to the poorest.....as show to us by Mohammed was dazzling. He is warm, his knowledge of the city is amazing........He was a careful guardian of our needs, a watchful eye to our safety and gave us an amazing look at the city. Low energy tour guide, he arrived late and dropped us off 2 hours earlier than our 8 hour tour. Mohammed needs to study up on the history of the caste system. We needed to learn more about the history and culture of this fascinating city. Near the end of the tour he spend more time speaking to the driver than to us. TOUR GUIDE RESPONSE: I arrived on time and I also send an email. We cover all the places which were listed in the tour. Tour ended quickly as there was less traffic in the town and we started from gateway of India. Regarding caste system I have already explain to sharon that the caste system does not exist anymore also explaining how it was impacting the individual in past I also told her about history and culture of the city I spoke to the driver regarding our location and how to move around. Thank you Mohammed for the perfect tour to reintroduce me to your amazing city. I asked to see what I had not seen during my first visit and you were so accommodating. We could have continued for hours if time and traffic permitted. I highly recommend Mohammed. Thank u again. This vacation has been one of the the best so far. We do not have words to thank Mohammed for his dedication, knowledge and good time we spent with him. We are looking for another trip and we definitely will contact you again to be our travel guide. Once again, thank you very much. This was my second day guided by Mohammed for this Mumbai visit (spent 3 days with him a year ago, too.) He responded to my interests and showed me some areas he had found that would interest me. We explored Mumba Devi Temple, Asalpha village, and nooks and crannies (such as under bridges, paintings on walls and ceilings of "tunnels") near Bandra for street art. I appreciated his knowledge and his excellent ability to customize very much. I spent a wonderful day with Mohammed doing all the quirky things I love to do. Mohammed knows of my interest in searching for street art from past tours I took with him, and he greeted the challenge with enthusiasm, patience, and determination. He had even learned about some murals in the interim to add to our search. Mohammed is smart, very knowledgeable, and fun to talk to about this grand city and its history. I most appreciate his creativity to customize the day. Thank yous and kudos to him! Mohammed was very informative, a gentleman and a pleasure to have as my guide for the day. I would definitely call on him in the future. The car was extremely comfortable and the driver extremely capable weaving his way through the traffic. It was a very good tour today and I saw and learnt a great deal. Mohammed was great, he picked us up from the airport early in the morning and we were straight on the tour, he checked what we wanted to see or if we wanted to change anything he had planned! After an hour or so he took us for breakfast in a lovely authentic restaurant - we never would have gone or found a place like it without him. After dropping us off he remained in contact to ensure our onward travel went to plan and couldn't have done enough to help. - ( also speaks perfect English! ) Thanks again! Muhammed was an excellent guide who was very friendly, knowledgeable and informative on our tour. I would highly recommend him. Wonderful, in-depth tour of Mumbai. Mohammed has good English and was very informative about the city. Because of having done a long distance tour the previous day, we opted not to travel far and see wildlife (not a good time of year anyway). We had a great visit to the laundry which was fascinating, saw the Gateway to India, Gandhi's house, the awesome railway station, other colonial buildings and even stopped for a cricket match, which we loved, being originally from the UK. Much more! Would recommend. We had an awesome day with Mohammed and he also organised a fantastic driver so we felt very safe as we moved around large parts of the city. Mohammed accommodated our various requests - including getting us to Dharavi and a particular restaurant we wanted to try for lunch. An unexpected highlight of the trip was Mani Bhavan. Highly recommend Mohammed as a personable and very well organised tour guide. Mohammed was a fantastic guide. He is extremely knowledable, kind, and most accommodating. Mohammed arranged an itinerary that was exactly what we wanted to see, and even more. He answered every question completely and candidly. His driver was safe and skilled. I would not hesitate to recommend Mohammed to anyone visiting Mumbai. Amazing visit to the caves. He was a great guide and very knowledgeable and personable! Mohammed was an excellent guide for our Mumbai city tour. Very knowledgeable and took us to some great places. The laundry and market were both fascinating! The driver was also excellent. Mohammed was very knowledgeable about the city and took us to some very interesting places. He was always mindful of the time and traffic and made the most of our time together. He was very professional and attentive to our needs. Great job. Would highly recommend. Our 8 cruise passengers had a very full 7 hr tour of Mumbai city, including an authentic Indian lunch at a fine restaurant. Our customized tour itinerary proved to be too ambitious given Mumbai traffic, but we did see so much more than offered by the ship's excursions. Because our tour started at 11 am, the Dhobi Ghats & tiffinwallah activities were largely over. Dhobi Ghats, train ride and Crawford market were memorable. Mohammed was fluent in English, knowledgeable and attentive to our interests. Mohammed was once again an excellent guide. We went back to Bandra to look for more street art and we found it! He was organized, had all kinds of workarounds for the driver that optimized our time, and later at my request, we enjoyed a Bollywood movie at the theatre. Mohammed is also a great conversationalist and I enjoyed talking with him about a variety of common interests. Besides being an all-around excellent guide, Mohammed's ability to improvise a plan that will satisfy specific tastes is truly impressive. For example, instead of going to restaurants for full meals, I love to sample local food in small establishments. I've been told by my hosts here in Mumbai that that is not eating, it is "snacking". Mohammed managed to get us to the very best small place where locals eat without having to rush or reduce our itinerary, and I got to enjoy the best food! Mohammed is a wonderful guide, combining broad knowledge with a broad range of interests and curiosity. He is the ideal enthusiastic guide for custom itineraries. Based on my interests, we went looking for street art all over Mumbai, and spent a lot of time in the neighborhoods that are not on the tourist route, enjoying the contrasts in community street life from one to another. He is an excellent urban sociologist! Highly recommended. Mohammed is an excellent guide. All three days I booked with him were customized by our ongoing discussions of what I most wanted to do and see. He brilliantly planned the itinerary to minimize time in traffic and every interest i expressed was satisfied. His knowledge of history in the broadest sense, not a recital of facts with dates but a real palpable feel for the people and culture that generate historical events, makes him an excellent conversationalist. Highly recommended! Mohammed was knowledgeable and friendly. He adjusted his pace to suit our preferences. Most importantly -- and i say this as someone whose entire career has been with multinational companies, working with and for Brits, Aussies, and Kiwis -- he came as close as anyone ever has to helping this American understand cricket!!! Also, his driver was incredible. This tour offers a lot but I don't think it was worth the time to drive to the Kanheri Caves...the traffic is horrible and is about a 45 minute drive both ways. Our guild Mohammed was very nice, spoke clear English, helped us get on the internet while we were driving and added a few things along the way that he thought we would like seeing. Mohammed had some very interesting things to show us and he did a good job of explaining them. We had very great time in Mumbay with Mohammed and the driver. They both very kind and patients with us. I reccomend this tour to every one! Mohammed was civil, obliging, clear and charming. His English is excellent and his sense of humour engaging. He went out of his way to help us in a private matter. Very much to be recommended in Mumbai. TOUR GUIDE RESPONSE: Thanks Douglas for your valueable feedback....very much obliged. Mohammed took me around to the sites of Mumbai. He was professional and allowed me some private time in museums and temples which was appreciated. We saw everything I requested and he was helpful in getting the photos I wanted. Very positive experience. Muzammil provided a great 4-day tour of Mumbai and Goa to my brother and me. Muzammil knows what sites to visit, shares his cultural insights, and is very friendly and supportive. He upgraded our hotel to an awesome beach-front resort at no extra cost to us, which was one of the highlights of our tour. We had a wonderful experience seeing Mumbai and Goa, and riding the train. Very friendly and knowledgeable. The day was most pleasurable and this was due to the guide's good itinerary. We can highly recommend Mohammed as guide for Goa! Everything was perfectly organised and he knows also a wonderful beach after, to relax! Help with currency exchange issues was deeply appreciated. Very efficient and timely service. Thank you for making it all happen. Our guide, Mohammed, was very nice. He seemed knowledgeable but we barely saw what he said he was going to show us or what the itinerary said we would see. Even while we were with him he said "We will see that later," but we didn't. This was supposed to be a driving/walking tour. We barely got out of the car. Mohammed was very informative about everything we wanted to know and visit in Mumbai and we had a very informative tour despite the busy traffic. We had a much better understanding of the local life! I used Mohammed as my guide for three days and I was in good hands. I was traveling alone with my teenage son so I appreciated having Mohammed with us to show us the sites in the city. He was flexible with what we wanted to see and not see. He even accompanied me when I went shopping along the street vendors to help with purchases and just so I felt safe. I was attending a wedding during our stay and he took me and my friend to a local shop to find traditional garments to wear to the wedding. Our group of four had a very good tour given to us by Mohammed prior to our trip on the Maharaja Express train. Mohammed was an excellent tour guide, very knowledgeable and professional with a friendly and pleasant personality. Mohammed gave us an excellent tour of Mumbai. He was very attentive to our needs and went out of his way to accomodate our requests. He even took us to the airport to change our Air India ticket. I would highly reccomend him as a Mumbai tour guide. Mohammed M., our guide for our Mumbai Shopping Tour certainly had his work cut out for him with us. Three senior ladies from Canada!!!! He did his very best to find us the "kind of shopping" that we wished. We went to a department store, the outlet stores, and the local markets. Along the way we also did some sightseeing. It was a difficult task, and I feel that Mohammed did his best. However, in future, it would be best to have a female guide for a ladies shopping tour. We had an excellent day in Mumbai. Mohammed structured the day to the sites we had not seen and made sure we arrived at the airport in plenty of time for our flight. We saw some sites the average tourist would not have seen. With Mohammed we have visited most of famous Mumbai sites. 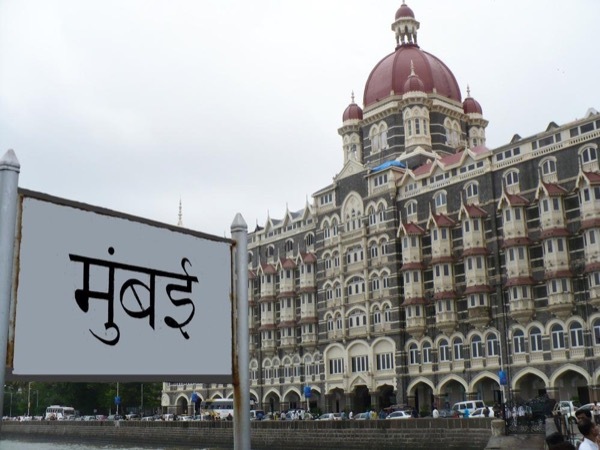 Beatiful locations, local cuisine taste, information given by guide - that what makes this tour attractable and excellent for those who wants to learn Mumbai lifestyle and traditions. Mohammed is an excellent guide! He is full of information, speaks easily understandable English, encourages and answers questions, takes you to quite a variety of places, and is pleasant and flexible. The reason we only gave him 4 stars is because of the vehicle he provided for touring. The driver was very good, and it really helped to have one. But the seating situation meant some of us were facing sideways and missed seeing things behind us. Also the seats were uncomfortable and made my back hurt. TOUR GUIDE RESPONSE: Thanks Mary Lane for your Feedback will take your feedback into consideration and will change the car in future. We received a timely and warm greeting in Mumbai by Mohammed. After reviewing our itinerary, we requested changes which he capably accommodated and offered suggestions to provide a comprehensive overview of Mumbai. In a very full day, we saw all of the major highlights, and experienced many of the diverse neighborhoods. His English fluency is excellent, and Mohammed's knowledge of Indian history, culture, and politics is quite extensive. He is an outstanding tour guide and a delightful person. What a great guide! After a full day tour in Mumbai, he got on a train and traveled all night to meet us for the tour of Goa. We saw so many wonderful things and thoroughly enjoyed both of our tours. The best part was his great humor! You can't go wrong with this guide in India. We had a few reservations about traveling in India but set out for the adventure. What a great day! Mohammed makes your day pleasant and is entertaining as well. There was so much to see, and we managed to see it all. We loved our impromptu stop at the bazaar as well as all of the sights. The traffic was so bad, yet our driver was fantastic. All in all, Mohammed made us love our trip to India. We highly recommend him. Our ship was late but Mohammed was great at covering everything on the list and giving us an introduction to Mumbai. He even squeezed in a quick shopping trip. Highly recommended. Mohammed absolutely met our requirements and we had a most interesting day. We recommend him without hesitation! Mohammad was very good in making sure our group of 8 got to see everything we wished to see throughout our tour of Mumbai.All of us were very pleased with our guide & driver. Our group of 8 used the services of Mohammad for both Goa & Mumbai. Both tours were well worth the money. Mohammed was our guide in Mumbai and was very informative and we had a wonderful tour. Friendly, safe driver. Thank you guys for making our trip to Mumbai most enjoyable. Would recommend you to anyone visiting Mumbia. Mohammed was ill for the scheduled tour. He sent a car and driver. Although the driver was a good driver, he was not very communicative. He had to concentrate on traffic rather than dialogue about sites. He lacked English skills. There should have been a tour guide to tell us about Goa and the sites we were seeing. We paid for a tour guide not a driver. TOUR GUIDE RESPONSE: My apologies, I do understand that I was not there which makes a big difference. I was seriously ill and was not able to make it for the day. In order to avoid cancelling the tour I sent the car and the driver which I had booked in advance. I offer you full compensation for not guiding you. TOURSBYLOCALS RESPONSE: We are sorry about Katherine´s experience. We take substitutions as very serious matter and is not what we expect at Toursbylocals. A full refund was provided to the traveler. The guide was very knowledable about Mumbai. We were not able to go to the Elephanta Island and he was able to fill in the morning with very interesting caves. We had a beautiful tour and saw many things we were not expecting. However, It would have been nice to have been offered water and time for restrooms since it was a very hot day. There was a scheduling glitch and Muhammed graciously rearranged the schedule for our Goa trip. All in all it was a good day for us. TOUR GUIDE RESPONSE: Thank-you for your feedback. I will take your comments regarding water and more time for restroom breaks into consideration for the future. We had a great time with Mohammed. Having both a well spoken guide as well as a capable driver gave us a great half day in Mumbai. Great time had by all. Would not hesitate to recommend to anyone while in Mumbai. Adapted day for our needs, nice clean car and no hassle of taxis when travelling with a young child. Great tour accommodating needs for myself, mum and my little girl. Mohamed answered all the questions and provided information. Nothing was rushed and the vehicle was large enough to accommodate our needs. Would use again as saves the hassle of flagging taxis and no problems encountered. Getting around Mumbai is not as easy as one would expect, so having Mohammed as a guide was the right call. He is very friendly, easy going and good to talk to. If you are looking to explore Mumbai look no further. This is your guide. Excellent tour at an economical rate. Mohammed and his driver negotiated the difficult Mumbai roads with ease and took us to all the important sites. We did decide to slightly cut short our tour due to a combination of jet lag and heat, but the tour was adjusted to ensure we missed nothing important. He did a good job escorting us from place to place! My tour with Mohammed was a 10!!! He was knowledgeable, efficient, and helpful. Would recommend him in a minute to everyone. Mohammed is very reliable and flexible guide, me and my colleague really enjoyed the Mumbai by Night tour! Mohammed was an excellent guide who provided the tour requested. He quicked adapted to our changing needs as the tour progressed. I rate the tour 5 out of 5. All the site we wished to see were covered and Mohammed suggested a few additional ones which were well worth seeing. Would certainly recommend Mohammed and ToursByLocals to friends. was distracted by over one dozen phone calls (about an injured friend). while understandable, the calls were, nonetheless, very distracting. part of the flavor of Mumbai is trying to get from to place to place in midday. TOUR GUIDE RESPONSE: I apologize if you feel that way. As I informed you when we first met, one of my friends had an accident and he died hence i was getting back to back calls from our families and friends as he was with me an hour before the tour hence i was not able to reject the calls as the situation was serious. Despite that, I believe I was able to pass all the relevant information and also deliver the tour in an appropriate manner. A must do tour despite the effort to get to the Caves. Mohammed is an excellent guide with great local insights/knowledge. Excellent overview tour of the city. Very good/informed guide with solid insights and observations. Absolutely outstanding tour with Mohammed. He was accompanied by an outstanding driver and we were supplied with a clean, air conditioned mini van. Monammed is a college graduate with a degree in History, so he is able to answer many, many questions. He was happy to customize our tour to meet our needs and even took us to our ship (with his driver) the following day at no charge. We cannot recommend him highly enough. Absolutely wonderful, friendly guide! We spent 3 days with Mohammed as our guide in India and couldn't have been better pleased. Before our time in India, we were frankly, not expecting much as we hadn't had good reports of traveling in India. Mohammed turned around our perspective and showed us such interesting, beautiful and trendy places throughout Mumbai. He also took us to some fabulous Indian restaurants! Not to mention, helping me shop for a Saree and inexpensive jewelry to go with it! What good taste he has! We had a lovely tour and Mohammed Muzammil was very helpful and informative. We were lucky it was a weekend and the traffic was light so we covered everything listed in the tour very comfortably. Would recommend this tour and guide to anyone. Mohammed jumped on a train, stayed with his Grandma in order to take us around Goa for the day off of our cruise ship. He is truly a super guide! Especially loved the boat ride out to see the dolphins and the scenic tour from the water of "Jimmy the Diamond Guy's" Bollywood set, estate. The scenery is just beautiful here. Mohammed was knowledgeable, informed and very willing to have challenging discussions. It was a truly memorable time we spent with him. It was a busy tour, but fan! I'm thankful to him for coming earlier than I said because my hotel is very far from Old Goa. It made me enjoy for a lot of time. In additon, he was so kind that they told me many things in details. I'll try the Hindu and Goan music he played in the car after going back to Japan. But there are a few bad things I felt: - I wanted to feel the sacredness of the temples and the churches taking some more time. - I didn't expect he took me to an expensive sourvenir shop. TOUR GUIDE RESPONSE: There is no time restriction on my tours i asked Yuji if he wants to go another place and he said yes hence i moved. If he would have told me that he want to spend more time in a church or temple i would have waited In terms of sourvenier shop it is certified shop with good quality products and fix indian price also you are not force to buy. If it was expensive then i dont known why Yuji purchased from there. Our thanks go to Mohammed for making our day go so well. We were picked up outside Mumbai's cruise terminal gates exactly on time. The vehicle used was just right for our party of six. We saw as much of the city as we could in the time available which included a good lunch trying out the local currys and comparing with the currys we get at home. We would recommend Tours by Locals and Mohammed: five stars, thanks! Mohammed was Awesome, prompt, polite, responsive & very informative. He is very humorous and had a very "western" way that made me feel very comfortable. Outstanding and his tour is highly recommended! We are so glad that we used your service on our recent visit to Mumbai, India. Mohammad Muzammil is an excellent guide and he knows the city very well. We appreciated his suggestions to ensure we get the most out of our day and spend appropriate amount of time on specific spots around town. He also knew about several tasty but reasonably priced eateries that my family liked very much. Mohammad also took us to interesting shopping spots in Colaba and Crawford Market. Good photographer too. Mohammed was a great guide. Super flexible. He knew so much about the city and he was helpful with all our questions. Our group was not an easy group of people, but he managed it all with flair and remained relaxed and friendly. I would recommend Mohammed to anyone.